Welcome to the 3 C's. California Coastal Contemporary at a high level. 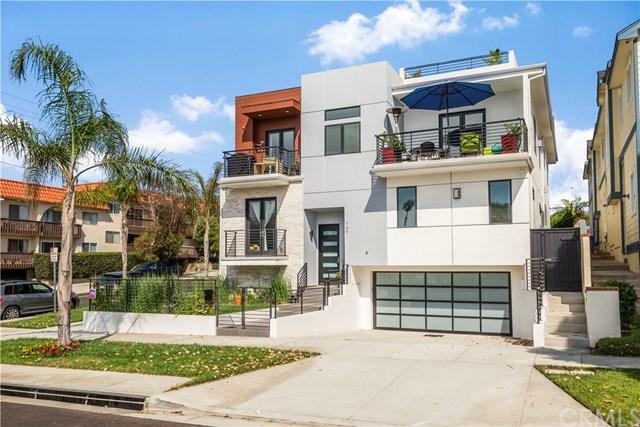 West of PCH, 2 Short Blocks To Topaz BEACH & built in 2017, this 2 on a lot attached Moderna Townhome is extreeeeeemely rare! And what a resume! On a corner lot with it's own address and private driveway. So you can have friends...with cars! Yeah! 3 STOP ELEVATOR!!! 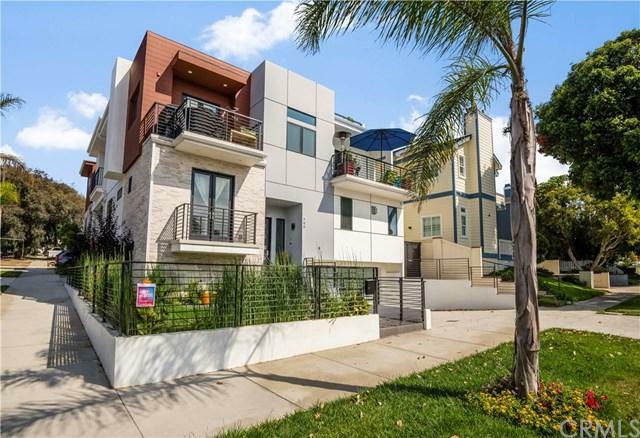 The 4 bedrooms, with custom closets & the 3.5 baths are all serviced by a 3 STOP ELEVATOR, which is both handy AND amazing! Master Bed/Bath has a gas fireplace, 2 walk in c Welcome to the 3 C's. California Coastal Contemporary at a high level. 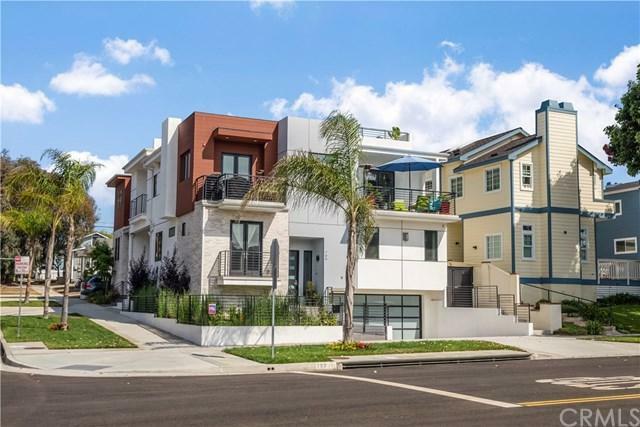 West of PCH, 2 Short Blocks To Topaz BEACH & built in 2017, this 2 on a lot attached Moderna Townhome is extreeeeeemely rare! And what a resume! On a corner lot with it's own address and private driveway. So you can have friends...with cars! Yeah! 3 STOP ELEVATOR!!! 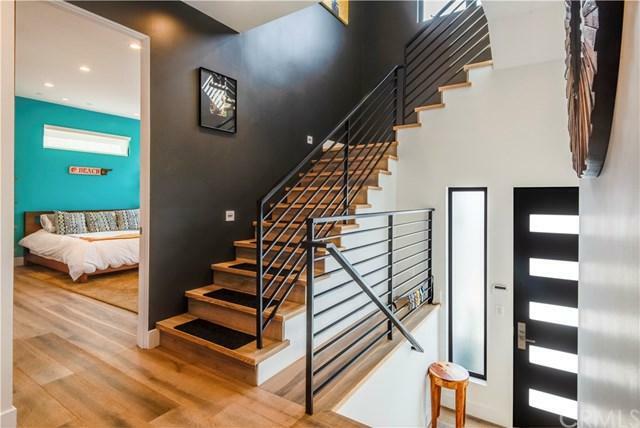 The 4 bedrooms, with custom closets & the 3.5 baths are all serviced by a 3 STOP ELEVATOR, which is both handy AND amazing! Master Bed/Bath has a gas fireplace, 2 walk in closets, soaking tub and walk in shower. It's on mid-level. Let's start at the top of the Reverse Floorplan. The Great Room gives you plenty of options to live in with high volume ceilings, wide plank oak flooring, levitating gas fireplace & the Lido Dining & Living deck with two 9' doors opening out to it. On the other side of that space is the Moderna kitchen with both wood and high gloss custom cabinetry with LED lighting and Thermador suite appliances. High profile built in refrigerator/ freezer. 6 burner 36" gas range, quartz counters w/ waterfall edge on the island, microwave & wine fridge. There's another deck off the kitchen. Perfect for BBQ & herb gardening. Are you drooling yet? Stop reading and get over here! Built with Smart Home Tech, it's wired for about everything including a video doorbell. You should see the ball of wire downstairs! LED Smart lighting all with dimmers w/ 3 Control Pads. Zoned AC. 400sf rooftop deck w/ peekaboo ocean views. And so much more!